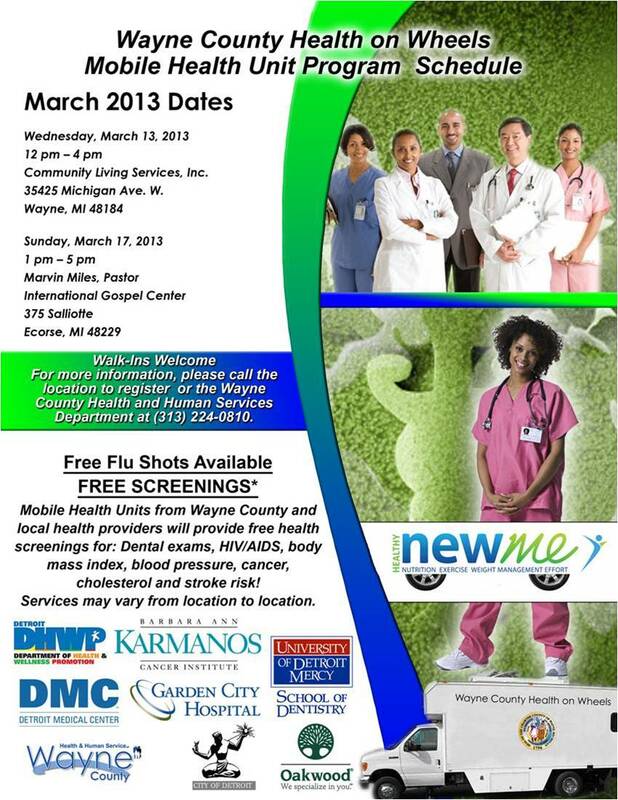 The Wayne County Health Department, along with local health providers, is offer a Mobile Health Unit Program on March 13th and 17th. The program offers Free Flu Shots and Free Screenings such as Dental Exams, HIV/AIDS, body mass index calculations, blood pressure screening, and cancer,cholesterol, and stroke risk assessments. Services do vary from location to location so call 313-224-0810 to inquire if the specific screening is offered on the date you can visit.